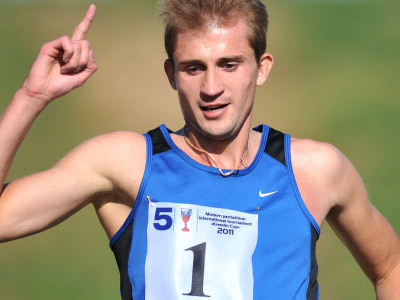 The Olympic champion of Athens and Beijing, Andrey Moiseev, has finally grabbed his first-ever gold at the Modern Pentathlon World Championships in Moscow. ­Team Russia have topped the overall medals count, winning three medals, including two gold, on the second day of the home event. And that latest success propelled the hosts to first overall – with three days still to go in the tournament. This World Championship was supposed to be held in Egypt, however due to political instability in that country, Russia won the right to hold the prestigious event in Moscow. It took the local organizers only a couple of months to prepare the capital's Olympic arena for a major pentathlon event which was held indoors for the first time in history. “It was all but easy to receive the honor of hosting this World Championship. There were many countries who wanted to bring this tournament to their home soil. And we are very proud and happy that this pre-Olympics event is here, in Russia,” Vyacheslav Aminov, the Russian Pentathlon Federation’s president, said. Two-time Olympic champion Andrey Moiseev had yet to taste a World Championship victory going into this final in the Russian capital. Perhaps it was that shortfall charging him forward in all five disciplines at the World Championships. After finishing first in the fencing stage, Moiseev posted the sixth best result in the swimming event, which still earned him an overall first intermediate placing. Another Russian, the 2010 World Championship runner up, Aleksandr Lesun, was hot on the heels of his teammate, staying close in third place throughout the tournament. 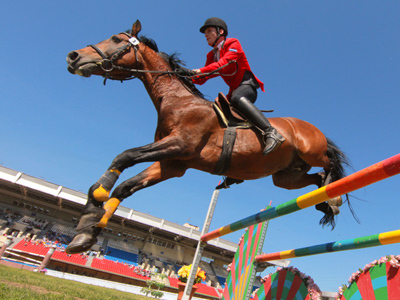 In the show jumping event, both local leaders displayed a near-perfect performance and retained their first and third places going into the final phase of the competition. Only one rider managed to complete the show jumping piece without any points deducted. And that was Hungary's Adam Marosi, who eventually won the bronze. 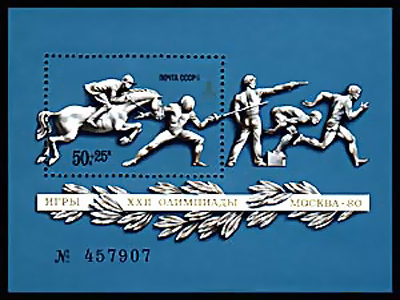 Three Russian men had a chance to sweep the podium in the last running and shooting event, commonly known as the “combined”. Andrey Moiseev and Aleksander Lesun obviously had the better chances being in the Top 3, while their compatriot Ilyia Frolov faced a tougher task from fifth place. And it was a dream come true for the two-time Olympic Champ Andrey Moiseev, who finally claimed the World Championship gold after winning four of the five events. “I am very happy that I won today. It’s my first victory at the World Championship and that’s even more significant. But I also have to admit, that our country has always had great traditions in pentathlon. And this means that my generation should do it’s best to keep up,” Moiseev said. Aleksandr Lesun was brilliant at the range as his shooting skills were rewarded with a bump from the tournament's bronze to a silver medal. While Ilya Frolov only managed to climb up to an overall fourth, denying the local crowd the pleasure of seeing three Russian flags above the podium. Four medals so far for Russia at the tournament, with the competition far from over. Over the next three days the teams will contest another three sets of medals. Those are the men's and women's relays, as well as well as a mixed relay race.